I was in the supermarket with DH when I saw an array of Marshmallow Chicks in the center aisle. 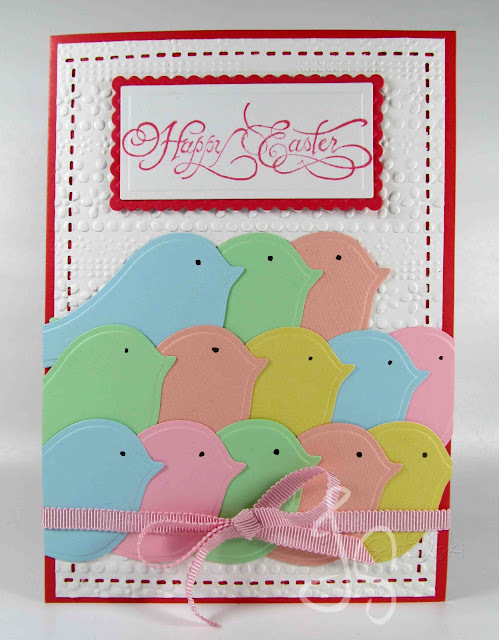 That moment, I wanted to make an Easter card with the cute colorful chicks. Good thing I had the die to fit my project. 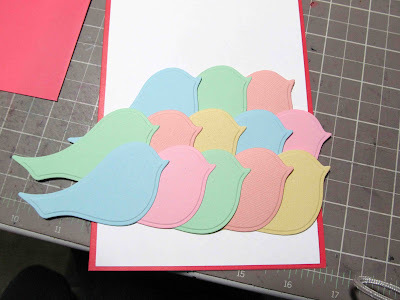 This particular Spellbinders die is actually a bird shape, but could work. 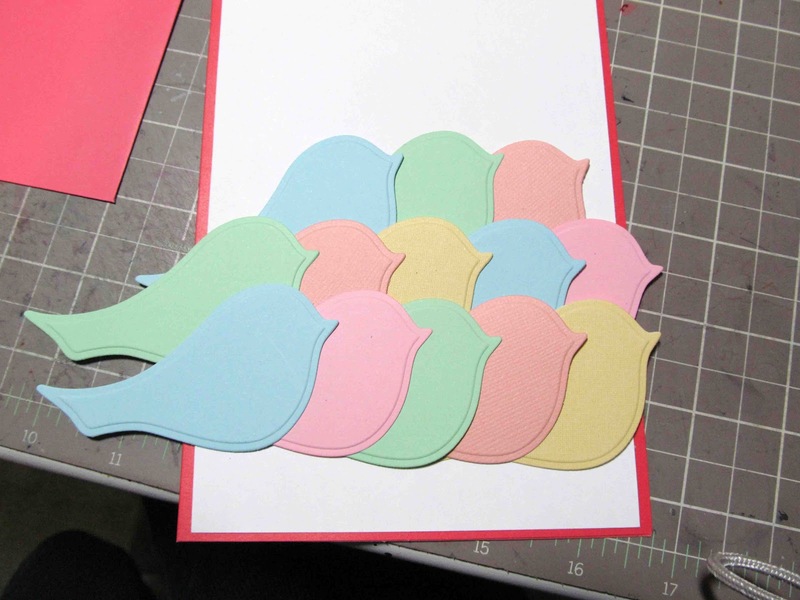 Going through my scrap paper stash, I was able to make these cutesies. I wasn't in the mood for any inking, so I opted to emboss my background, and punch a border around it. 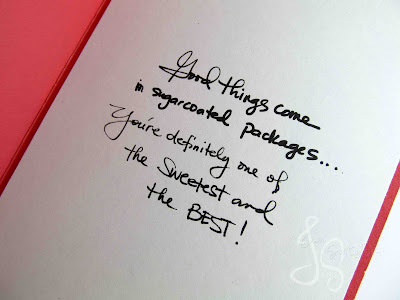 The stamp is from my RAK stash which I touched up with Spica glitter pen, and I just wrote the sentiment inside. 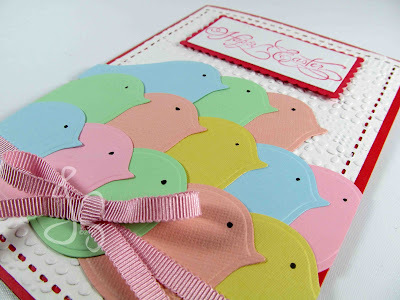 Happy Easter everyone.... 'til next blog!